On an ordinary day in bustling downtown Madrid, life ticks over as usual, while inside a decrepit and noisy central bar, a motley assortment of common urbanites is killing time indolently, up until a loud gunshot sends chills down the spine. Out of the blue, now a man lies dead in front of the bar in a pool of blood, and then surprisingly, in broad daylight, another death follows. Where did that mysterious lethal bullet come from? Is this an act of terrorism or is there a solitary invisible sniper hidden on a roof? As hysteria prevails and the bodies miraculously vanish into thin air, the perplexed and terrified bar's regulars are bound to turn on each other, paranoid and suspicious of the potential assassin who might be hiding inside the place. Is there indeed a wolf among sheep? 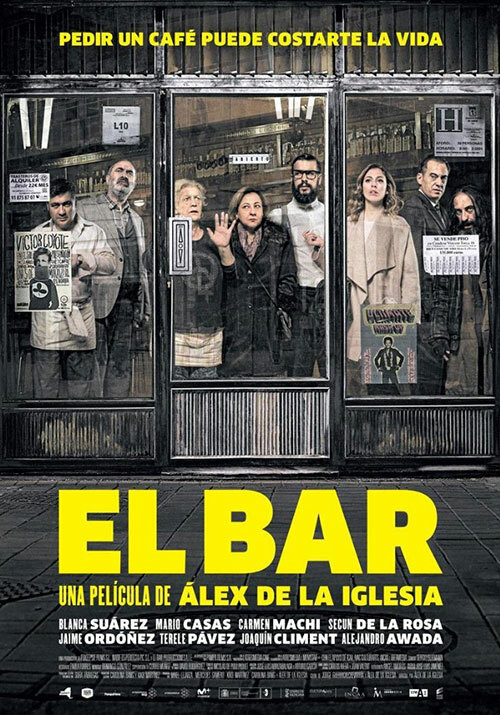 0 Response to "The Bar (2017) Alex de la Iglesia"